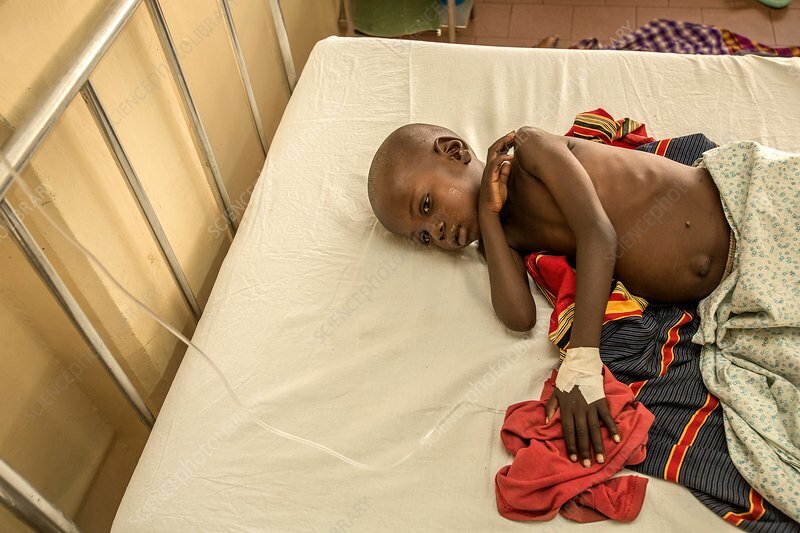 Sick child in hospital. Sick child on an intravenous drip (taped to his hand) in a hospital bed. Photographed at St Mary's Hospital, Lacor, Gulu, Uganda.